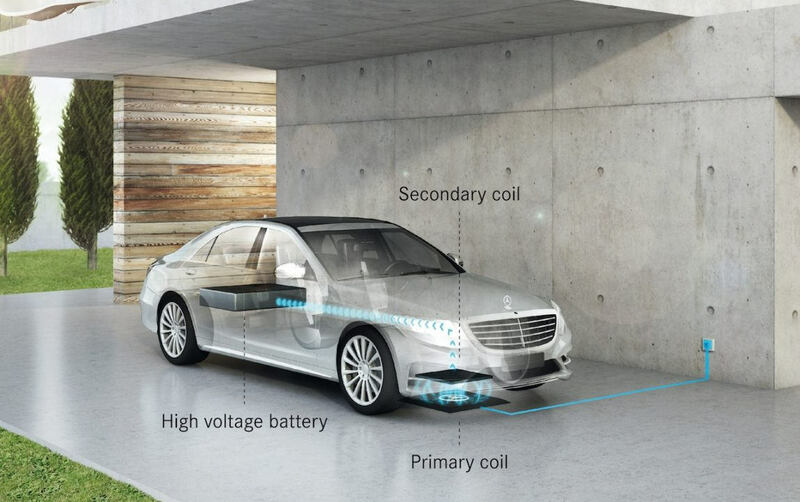 Mercedes-Benz and BMW have been collaborating to make the first wireless charger for electric cars. The goal of the project is to remove the need for owners to plug-in their car when they get home. This technology literally removes the need to think about charging your car. The wireless charging system is similar to how Qi wireless charging works with smartphones. There is the primary coil which is the source of the power, then a secondary coil to receive it which will be sent to the battery of the vehicle. It’s quite easy to explain and the only task for you is the park your car properly. Speaking of aligning your car to the primary coil, the car will also help you do that. As you drive above the primary coil, the vehicle’s display will guide you to the best position for charging. This could be a hassle at first but should be intuitive as time goes by. Despite the simplicity of the explanation, making the tech is a rather complex thing. At the moment, the system only tops up at 3.6kW at most, which is much lower than the 11kW that current chargers have. And along with this, the tech is relatively much more expensive. This makes wireless charging for electric vehicles insufficient at the moment. It’s more expensive, with less power. Although despite all this, it has been announced that they are still planning to launch this technology by 2018. Hopefully, that’s enough time to get it up to speed.